It is definitely an exciting info for all those who are using Bluehost or the one who have recently signed up for this great web hosting service. It’s all because Weebly, which is one of the best user-friendly website builders, is now available for the Bluehost customers. Bluehost has recently announced this, which means that the clients can create websites as quickly as possible and in an easier way. The Weebly site builder is indeed the top recommended tool for customers who don’t have sufficient technical knowledge to create websites, since it comes with as many as 100+ free templates. 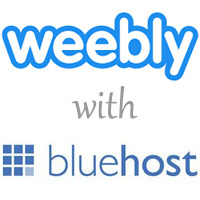 Bluehost CEO told that they were delighted to be working with Weebly to introduce the new site builder. Bluehost comes with two Weebly plans. The Basic plan will be free for all Bluehost customers, but it can support only 6 pages. The Pro upgrade (costs $7.95 per month) adds support for unlimited pages, password protected pages, site favicon, custom themes, etc. Weebly is considered to be one of the easiest interfaces for almost all web designers and developers. It is completely packed up with a lot of features that make website creation as easy as possible. In order to help customers in using Weebly, Bluehost created a series of videos that explain how the Weebly website builder works. In those videos, a Bluehost representative explains step-by-step how to build a full, multi-page website. Once the Weebly website has been created, you can see the simple layout of your website with the default theme. Now, you can drag layout modules into their website design including text, video, images, galleries and more that are readily available at the top of your website editor. The Weebly website creation tools are user-friendly and very easy to operate as it comes with a powerful drag and drop editor through which you can easily create websites on any of your Bluehost domains. While creating website, the users can simply drag and drop various modules into their design such as text, images, video, galleries and more. The new website creation tool also comes with an image editor, support for a blog, basic website traffic tracking tools, and more. Weebly has released form building features through which you can customize and build new forms, including contact forms, RSVP forms, surveys, or anything else you want. You can see a category under “More” called “Forms”. By clicking this category, you can add contact form, RSVP form and survey form. Once you have added one of these forms to your page, click it to begin the customization. Once you have clicked on the form, the rest of the page fades away, and let you focus on the form you are working on. You can notice that the elements bar contains the form fields that you can add to your form, including short and large text areas, option buttons, check boxes, a drop down box, an email field, a name field, an address field and a phone number field. By dragging them on to your page, you can add these fields to your form. The Bluehost users can also create a blog with Weebly. Thus, you can have your own website, and also a blog in which you can add anything you want your site such as updates, things you are planning, or just what you feel about it. Creating a blog in Weebly can be accomplished very easily. Weebly comes with all the layout, formatting and blog tools for all its users. All you need to do is just create the posts for your blog. Their new blogging platform and WYSIWYG editor allows users to add dynamic content to their pages. The Weebly blog supports the basic blog features like posting, commenting, categories, and archiving. Interesting thing is that you can edit the page and post on the actual page in a truly WYSIWYG interface with Weebly. Weebly has a suite of webmaster tools included to allow you to track properly and SEO the pages on your website. More importantly, technical knowledge is not needed to manage these tools as they are all point/click. Your Weebly site has a place for you to enter keywords and a description for your website. You can find these under Settings –> Search Engine Optimization. 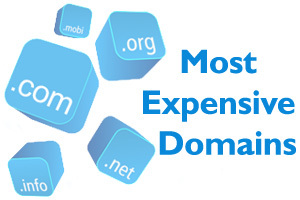 These fields help search engines to categorize your site. The description you enter will be displayed as the description for your site in search engine listings. So it should be two or three sentences long and provide a brief description of what your site is about. The keywords should be targeted fairly and also be the words that you have commonly used on your site. You can also add keywords and description for each page of your site. These can be found under Pages –> Advanced Settings. If you want to get a website up and running quickly, and need to update it easily, you can well use Weebly. Bluehost allows you to install Weebly in a single click with Simple Scripts. If you are still thinking as how simple website building can be, then try this. Weebly website builder is seen consistent improvement and new features being added on a regular basis from its inception, it has came a long way with so many features. If you are a Weebly customer you will know that, but the Weebly with Bluehost still lacking some latest features and still using few of the out of dated features. You can offcourse get all the latest and improved features of weebly by moving to a paid or higher plan in Bluehost. In the below table we have listed the summary of differences between Weebly and Bluehost Weebly. 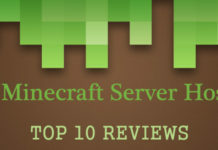 Just sign up a Bluehost account (use this link for a discount) and have fun.